The flavors of our childhood have led us into preparing several specialties for our customers, that surely will remind of the tastes of long ago. Come in Agra's stores! 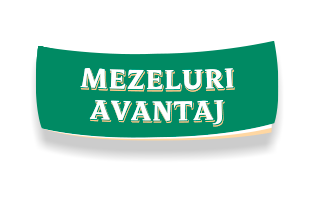 We are welcoming you with products for all tastes, special offers and daily, fresh cold cuts and other meat products! 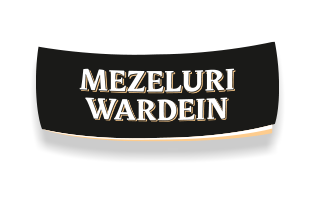 Starting 2015, our production plant in Alba Iulia has entered a process of updating, expansion and improvement of production facilities. 1. By using this Website, you agree to these Terms and Conditions. Access to and use of agras.ro site are subject to these Terms and Conditions and all applicable laws. The present Terms and Conditions apply to all the users of the site. 2. Agras.ro is an informative presentation website of Agra's SA. Access to this website is free. 3. The website will be used only for personal and non-commercial use. All copyrights, trademarks and other intellectual property rights found in the website content (text, images, or other materials) are SC Agra's SA property or are included with the permission of the rightful owner. 4. It is not allowed to reproduce, copy, use, transmit, sale, license, market or distribute any part of this website without written consent of the company's representatives. Modifying or incorporation it into any other work, publication or website, is forbidden. 5. As a website user, you agree not to use any software, application or any other means of automatic accessing actions for spamming, flooding, data theft, modification or alteration of the website. 6. We make every effort to ensure the accuracy and completeness of the information on the agras.ro website. However, Agra's SA does not assume responsibility for the errors, mistakes, omissions or inaccuracies of the content of this website and for damages resulting therefrom. The information published on agras.ro is informative. 7. Agra's SA and/or any other party involved in creating, managing or presenting this website will not have any legal responsibility for any damage, costs, losses or liabilities, incidental, indirect, special or punitive damages that may arising out of accessing, use, inability to use, or changing of the content of this website. Agra's SA reserves the right to change any information on this website without notice. 8. Any personal information supplied by users are and will remain confidential. Agra's will not use this information except for the purposes of direct communication with the user, and will not use e-mail addresses to send advertisements without their consent. 9. Any other communication or material sent to this website by email or contact form, including any information, questions, comments, suggestions or similar information, except for personal information, will be treated as non-confidential and non-proprietary information. 10. Any acts or actions that may be deemed inappropriate, unlawful or defamatory to Agra's SA company, customers or third party partners, are prohibited. This provision includes, without limitation, the following: violation of confidentiality of Agra's SA or third party, use of this website to defame or libel Agra's SA, its employees or others, upload of files that contain viruses that could harm this website or others, sending to this website any non-authorized material including but not limited to, materials that could cause a nuisance or be defamatory, racist, obscene, threatening, pornographic or illicit, to the detriment or breach of Agra's SA or third parties’ online security systems. 11. The products presented on this website are visual representations and do not constitute an obligation from Agra's SA. Agra's SA does not guarantee their availability in certain locations. Please contact the sales and distribution department for more information on Agra's products availability. 12. 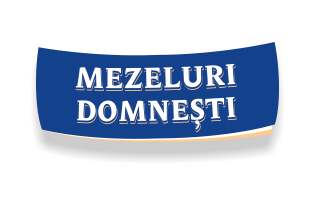 Any litigious dispute or controversy about the use of this website shall be governed by the Romanian law.